The Tacoma woman who died in a one-car accident on Interstate 5 in Federal Way Saturday morning is Chyna J. Thomas, 22, the sister of NBA star Isaiah Thomas, according to family friends. Chyna Thomas died at the scene of the accident on the shoulder of I-5, according to the Washington State Patrol who identified her. The wreck occurred around 5 a.m. on southbound Interstate 5 near South 288th Street, according to the Washington State Patrol. Witnesses reported that the car, a 1998 Toyota Camry, was being driven normally at first. “All of a sudden it started to drift very casually onto the left shoulder,” State Patrol spokesman Trooper Nick King said. The car traveled about 50 feet partially off the roadway until it hit a Jersey barrier. “That vaulted the vehicle head-on into the sign post,” King said. The car came to rest on top of the barrier and against a large metal pole holding a carpool sign on the shoulder of the freeway. The State Patrol reports that Chyna Thomas was not wearing her seat belt. Chyna Thomas’s Facebook page’s profile lists her a package handler for Federal Express and a former student at Tacoma’s School of the Arts. 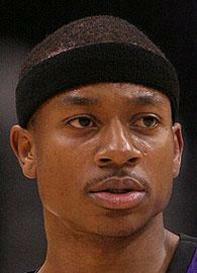 Isaiah Thomas is a point guard for the Boston Celtics. He’s a former Curtis High School student and played three years at University of Washington. The Celtics are scheduled to play the Chicago Bulls in the NBA playoffs Sunday in Boston. 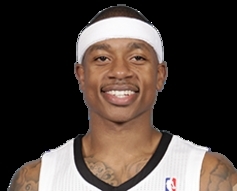 Should Isaiah Thomas Start for the Lakers?